Here are the best Tampa Florida beaches! For a more secluded beach experience try Honeymoon Island State Park or take the ferry to Caladesi Island State Park and Fort De Soto Park boasts two beach areas. If you are searching for a truly laid back Old Florida atmosphere then you need to visit Pass-A-Grille Beach or you can take a break at Sand Key Park. Livelier beaches include Clearwater Beach and St. Pete Beach has two distinct areas which allow you to find solitude or a party atmosphere. Madeira Beach has several parks associated with its stretch of white sands and Treasure Island Beach is 800-feet wide at mid-point. If you want something close to downtown and on the shoreline of Tampa Bay then take a trip to Ben T Davis Beach. If you are searching for a great Tampa Florida beach that offers something for all types of travelers from white sand to gorgeous sunsets, then Clearwater Beach is the perfect selection for you. Located just west of Clearwater and the Intercoastal Waterway on the Clearwater Memorial Causeway, Clearwater Beach is situated on 2.5-miles of superb white sand and offers a plethora of amenities onsite. Clearwater Beach has a wide stretch of sand where there is plenty of space to lounge and play beach games or just build a sandcastle. Watersport activities are also abundant with perfect swimming as well as several vendors onsite with watersport equipment and adventures like parasailing. The Clearwater Beach has a more vibrant crowd around Pier 60 and if you are seeking more solitude than walk north into the more residential area of the beach. When you tired you can grab a cold libation at one of the many restaurants that line the Beach Walk at Clearwater Beach. There are restrooms, showers, a playground for children, the Clearwater Municipal Marina onsite and a long fishing pier. If you are searching for a superb Tampa Florida beach that offers plenty of excellent sand and activities for families as well as all types of travelers then you should plan a visit to St. Pete Beach. Located along Gulf Boulevard between Pass-A-Grille Beach to the south and Sunset Beach to the north, St. Pete Beach has a long stretch of white sand that sports two beaches which are Upham and St. Pete Municipal Beaches. Upham Beach has a lively attitude with plenty of space to lounge on the sand and swimming is superb. Upham Beach has watersport and beach equipment onsite through several vendors as well as several little beach bars like Swigwam’s Beach Bar. Families will find St. Pete Municipal Beach laid back and less crowded with ample white sands for to lounge on as well as beach equipment rentals. St. Pete Municipal Beach sports great water for swimming as well as for various watersport activities that range from standup paddleboarding to kayaking to jet skis. Both the Upham and St. Pete Municipal Beaches offer restrooms with showers as well as a snack bar with food and drink. If you are looking for a prime Tampa Florida beach with a stretch of beautiful white sands which overlooks the Gulf of Mexico then you need to visit Honeymoon Island State Park. Located at 1 Causeway Boulevard just west of Dunedin and north of Tampa across the Saint Joseph Sound, Honeymoon Island State Park is situated on 385-acres of land with 4-miles of pristine white sand beach and 2,400-acres of underwater beauty to explore. Honeymoon Island State Park has perfect shelling conditions, plenty of space to lounge, swimming is great, surfing is allowed and you can explore the underwater world offshore while snorkeling. 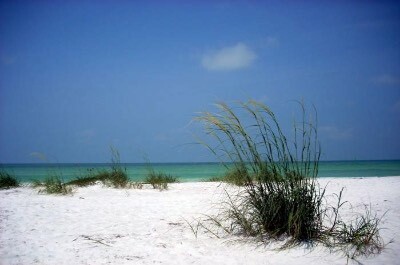 Although Honeymoon Island State Park is the number one visited Florida state park you will be able to find solitude on the vast stretches of white sand or you can take the ferry to Caladesi Island State Park where solitude is abundant. There are opportunities at Pelican Cove for kayaking as well as canoeing with rentals available onsite and fishing from the shoreline is always fun. The park has a nature center with several interactive exhibits as well as a 2.5-mile nature trail for birdwatchers and viewing wildlife. Other facilities at the park include restrooms, showers, picnic shelters with barbeque grills, a playground and concession stands. When you are searching for a Tampa Florida beach that combines white sands, history and plenty of outdoor activities, then Fort De Soto Park is ideal for all like-minded beach goers. 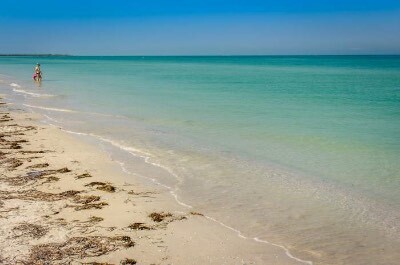 Located at 3500 Pinellas Bayway South on Tierra Verde just west of Tampa, Fort De Soto Park is situated on 1,136-acres that include five interconnected islands which boast 7-miles of shoreline which contain 3-miles of white sandy beaches that have been consistently ranked in the top 10 by Dr. Beach. 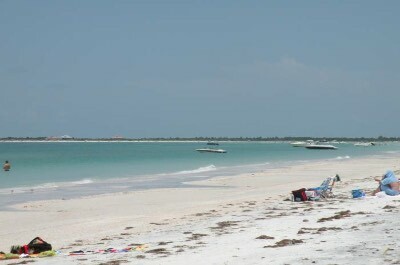 There are two large swim centers at Fort De Soto Park which include the North and East Beaches. Both of these beach areas have ample white sand and great water for swimming as well as shelling. Numerous watersport activities area available from fishing to kayaking to standup paddleboarding as well as a 2.25-mile recreational canoe trail that pass through a mangrove forest and there are rentals onsite. There are two fishing piers for anglers and eleven floating boat docks. Fort De Soto Park has a 7-mile paved trail that connects both beach areas as well as several nature hikes on land and you can tour historic Fort De Soto. Facilities include a Quartermaster Museum, fishing piers, playground, picnic shelters, boat dock and ramp, campground, food concession stands and a souvenir shop. Life guards are on duty from March until Labor Day. When you are seeking a fantastic stretch of Tampa Florida beach that is perfect for families and beach goers of all ages then Treasure Island Beach is an ideal selection. Located at 107th Avenue and Gulf Boulevard between Madeira Beach to the north and St. Pete Beach to the south, Treasure Island Beach has a 3-mile stretch of perfect white sand which is up to 800-feet wide at mid-island. Treasure Island Beach is superb for lounging, swimming, shelling as well as snorkeling and marine life viewing of dolphins from the shoreline is perfect. There is plenty of space at Treasure Island for beach games like soccer and volleyball without disturbing people. You can also take a stroll on the Treasure Island Boardwalk which follows the beach for 1-mile is superb for families and recreational opportunities like jogging. Other facilities onsite include a snack bar, restrooms, picnic tables, children will be pleased with the playground area and you can rent beach as well as watersport equipment onsite. When you are looking for a unique undeveloped Tampa Florida beach that has a laid back atmosphere and is perfect for all types of beach goers, then Pass-A-Grille Beach is a perfect choice. 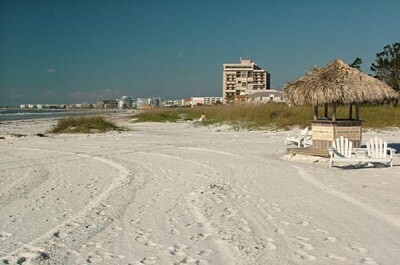 Located between 22nd Avenue on the north to 1st Avenue on the south within the city of St. Pete Beach, Pass-A-Grille Beach is situated on the southern portion of St. Pete Beach with 4-miles of undeveloped white sands and boasts a terrific Old Florida beach feeling. The beach itself extends around the southern tip of Long Key into the harbor side of Boca Ciega Bay. Pass-A-Grille Beach is ideal for a lazy day of sunning on the beach, a game of volleyball and swimming is perfect in the warm waters of the Gulf of Mexico. You can watch dolphins play in the water, go shelling and there is fishing opportunities from the shoreline along the harbor side and Gulf of Mexico area. One of the more unique things about Pass-A-Grille Beach is there are no condos, resorts, motels or homes directly on the beach. There is only one building on the gulf side beach area which is Paradise Grille where you will find food and drink as well as live entertainment on selected days. Facilities at the beach include restrooms, showers and picnic areas. Photo by Holmes Palacios Jr. When you are searching for a Tampa Florida beach that is close to downtown and offers excellent marine life viewing then the Ben T Davis Beach is ideal for you. Located at 7740 West Courtney Campbell Causeway just 10-minutes south of downtown, Ben T Davis Beach is situated on the Tampa Bay and offers easy access to a narrow stretch of sand that is attractively landscaped. Ben T Davis Beach boasts areas for sunning and swimming. There are opportunities to play beach volleyball and for viewing bottlenose dolphins which call the waters of Tampa Bay their home. You can enjoy lunch in one the picnic areas which are equipped with barbeque grills and there are trees as well as shelters for shade when you wish to get out of the sun. Ben T Davis Beach has a concession stand onsite which sells food and drink and has lifeguards on duty from Memorial Day thru Labor Day. If you are looking for a white sand beach that offers plenty of services and is family friendly with gorgeous views of the Gulf of Mexico then a great Tampa Florida beach for you is Madeira Beach. Located northwest of Tampa and east of St. Petersburg, Madeira Beach is situated on 2.5-miles of soft white sand which is ideal for lounging as well as swimming and there are plenty of places for children to safely frolic in the water. Along this stretch of sand you will find beach access along Gulf Boulevard at a variety of parks like County Park, Archibald Park and John’s Pass Park. John’s Pass Park is the most popular and boasts many additional amenities like a walkway to the jetty that offers a view of Boca Ciega Bay as well as over 100 shopping and dining venues for you to enjoy. Archibald Park as well as County Park boasts showers and a snack shop. There are restrooms and picnic pavilions available at all locations. Other activities along this stretch of white sands include various watersport adventures from marine life viewing to fishing to parasailing to standup paddleboarding. 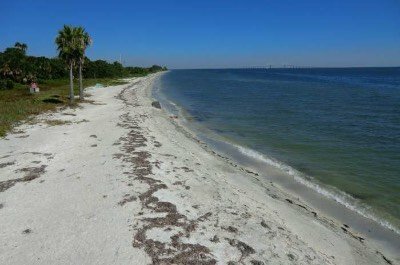 If you are searching for a Tampa Florida beach that is consistently ranked in the top 10 by Dr. Beach then you need to take a trip to Caladesi Island State Park. Located at 1 Causeway Boulevard northwest of Clearwater and west of Dunedin, Caladesi Island State Park is situated just south of Honey Moon Island and is accessible only by ferry or private boat which limits the crowds of people. Caladesi Island State Park is a remarkable stretch of white sands with gorgeous views of the Gulf of Mexico as well as the Saint Joseph Sound. 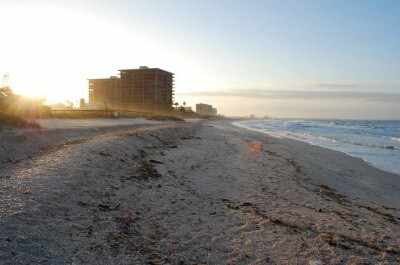 The beach boasts great lounging, shelling, marine life viewing as well as swimming. If you show up by private boat there is a 108 slip boat dock area with services and boat camping is available. Other activities within Caladesi Island State Park include 3-miles of nature trails, fishing from your boat or the shoreline as well as an excellent 3-mile kayak and canoe water trail. There is a concession stand that rents kayaks, canoes as well as beach equipment like umbrellas along with food and drinks. Children will be pleased with the playground and there are dedicated picnic tables near the beach. When you are looking for a Tampa Florida beach that combines beautiful sand, interesting wildlife and has amenities onsite then the Sand Key Park is a perfect selection for you. Located at 1060 Gulf Boulevard just north of Tampa in Clearwater, the Sand Key Park is situated on 90-acres of land that includes a gorgeous white sand beach and a large park filled with a tropical landscape. Sand Key Park has a wide stretch of white sand beachfront that is ideal for lounging, swimming and beach games like soccer as well as volleyball are quite common. Other watersport activities like kayaking as well as standup paddleboarding are common and snorkeling is good within the artificial reef program area. 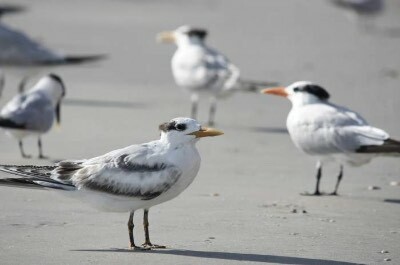 Interesting wildlife and marine life can be found at Sand Key Park where you can observe sea turtles nesting as well as several species of birds that feed within the salt marsh. You can take a hike on a nature trail or go for a bike ride at Sand Key Park. Children will be thrilled the large playground and there is a separate area for dogs to play. There is a concession stand with food and drink as well as watersport and beach equipment for rent. Other facilities include two bathhouses, showers, restrooms, a playground and picnic shelters with barbeque grills. Lifeguards are on duty from March until Labor Day.